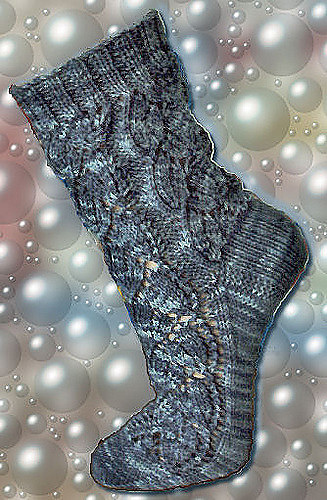 This sock-pattern was design by Kristin Benecken as a goodie for the Berlin-Zugsocking (knitters came together in a train and knitted socks) in November 2005. The site has the written description, photo and a chart. With the chart provided, one should be able to knit it even without knowledge of the German language. 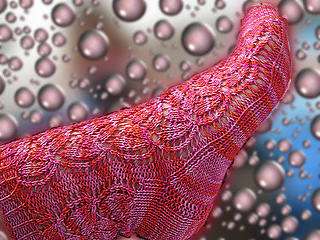 Pattern PDF is now available in English as a Ravelry download. Happy knitting!